Casinos can be beaten, and you can win money from them. But let's get something straight from the off. Casino bonuses serve two purposes to the casinos. They get customers in, and they lock them into playing. The casino doesn't want you to be able to withdrawal your own money again, let alone the bonus they've given you as well, but there are ways of beating some casino bonuses. There are a number of factors you need to determine before deciding if a casino bonus is worth playing, the main three are; what is the value of the bonus, what are the wagering requirements and which games are allowed. Let's take the bonus value first. This will normally be a large headline figure, or proportion of your first deposit (100%, 200% sometimes even more). It would appear that the larger the bonus is the better your chances of winning, but that is not always the case. A larger bonus will also tie you into wagering for longer and that allows variance the opportunity to bust you out. The second factor is wagering requirements (W) are normally expressed as multiples of either the deposit (D), the bonus (B) or the deposit and bonus (D+B). If you deposit £100 in a casino that has a 10x(D+B) wagering on a 100% bonus means you are tied in to 10x(100+100) = £2000 of wagering before withrawal. That brings us on to the final factor, and that's the type of games you can play to meet the wagering requirements. Casino games have different expected returns based on the house edge or advantage (A). Blackjack, played to perfect strategy, has a very high expected return and low variance. Slots tend to have lower expected returns and higher variance. With all this information combined you can work out what your expected value is, if this turns out to be a positive figure the offer can be considered expected value positive (EV+) and you have a good chance of making money. That doesn't guarantee you will make money, only that the odds are in your favour. So over £3000 of wagering on Blackjack, all things being equal you can expect to lose £3000*0.005 = £15. This is the 'house take' or 'house advantage' - if you were not playing with a bonus you would simply lose £15 over £3000 of wagering. However because you are starting with a £30 bonus, after £3000 of wagering you will be left with £30 - £15 = £15. So the expected value of the bonus is £15. The technique used to extract the maximum value from a casino bonus will vary depending on the site and the tipe of bonus being offered, along with your appetite for risk. If blackjack is available, then this is normally the best option due to the low house edge, but where blackjack is allowed it's normally at a reduced rate such as 25%. 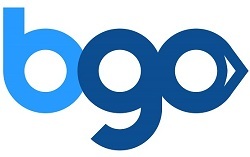 This means that for every £4 you wager, the wagering requirement will only reduce by £1. In these instances the best strategy is often to double or even treble up before grinding out the rest on slots. Take a game where you have a 50/50 (or there abouts) chance of winning and put your entire balance on it. If you win then you have increased the expected value of the bonus and make it worth riding out the variance playing low stakes slots. If you lose, then you can move on to the next bonus. Of course this technique means you might bust out on some bonuses early, but at least you haven't wasted any of your time. BetFair is an account you must have. The exchange is an excellent matched betting tool, but the casino also has regular beatable bonuses, and more offers linked to the exchange as well. Start with a match up to £300 and go from there. 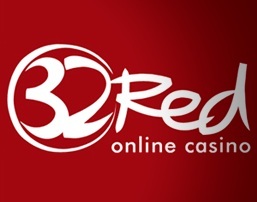 32 Red Casino get you started with a no deposit sign up offer, and follow it up with an excellent first deposit bonus, and the offers keep coming day after day. There's a good reason thay 32 Red win a lot of casino industry awards. Whilst you might not have some of the games otehr casinos do, like the marvel slots, the secection they do have is extensive and has some crackers. Intercasino are major players in the independent online casino market (meaning they're not linked to a sports book like Paddy Power or William HIll). There are also casinos attached to all the major sports books, all of which will give yo generous (and beatable) bonuses to try and convert you from low edge sports betting to high edge casino games. In the same way as bookmaker sign up bonuses can be beaten, so can the casino.